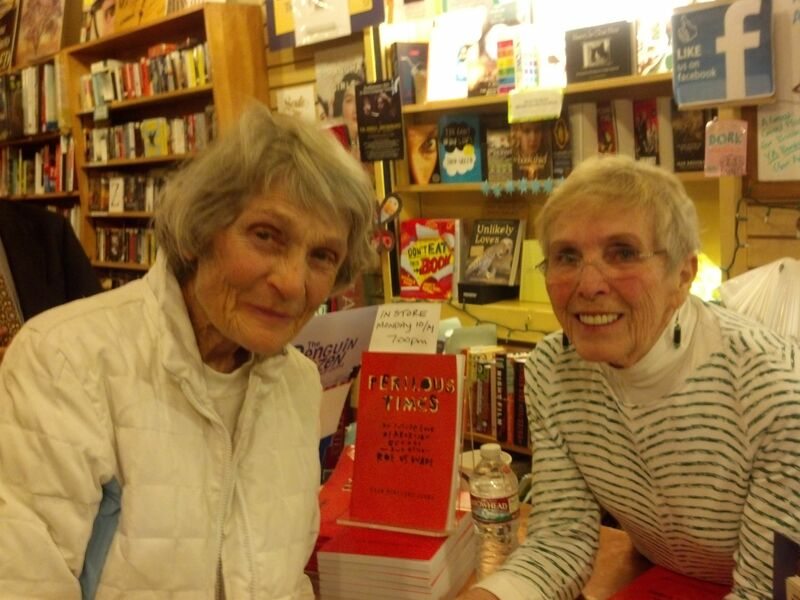 She was there when I walked in to do a reading at A Great Good Place for Books (which is indeed a great good place): a tall, reed-thin woman with a still-beautiful face that radiated strength. I shook her hand and thanked her for coming, then kept walking to the back of the bookstore to finish up some miscellaneous details. While walking, my brain clicked in. I turned around and walked back. She smiled. She was indeed. Pat Maginnis’ story is part of my new book, Perilous Times: An inside look at abortion before – and after – Roe v Wade. It’s a story too long to tell again here, but in brief: In the 1960s, if you were pregnant and desperate in Chicago you looked for Jane. If you were in California, you looked for Pat Maginnis. She was a one-woman Planned Parenthood/ NARAL Pro-Choice/ TrustWomen force, when there were few forces to protect the lives of women with unintended pregnancies. I had last talked with Pat three years ago, when working on Perilous Times; she was aging (something we both continue to do) and in poor health. I had lost track of her, and recent efforts to find her led nowhere. But here she was. There are legends in our time. Pat will be at the Commonwealth Club for a panel discussion on Thursday the 17th — not on the panel, but she’s planning to be there. She’s going to make my day twice in the same week. Putting this on my list for when I return home. Congratulations!